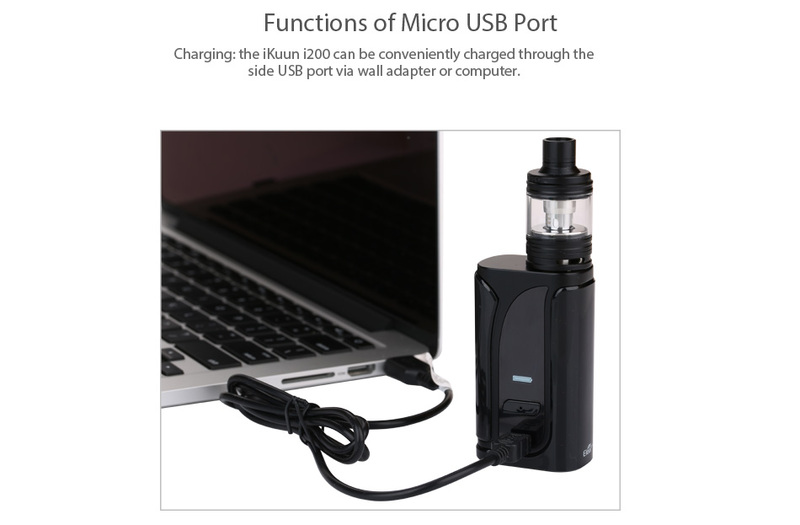 Here comes the Eleaf iKuun i200 Kit. It consists of a iKuun i200 TC mod and a Melo 4 tank. 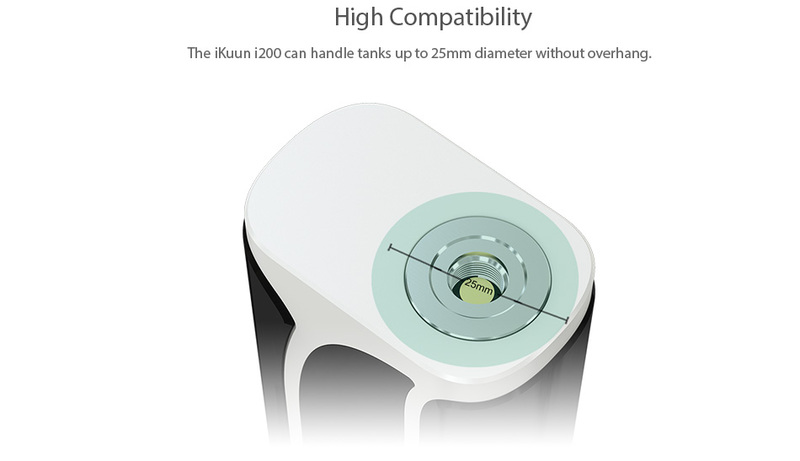 iKuun i200 adopts an ergonomically designed fire button, upgradable firmware, customizable logo and 200W maximum output power, bringing you a much more stable and long-lasting vaping experience. The 0.96-inch OLED screen shows the data in a clear and precise way. The Melo 4 is a new generation of the Melo family and adopts a retractable top-filling design making refill easy and convenient. The adjustable bottom airflow also helps you acquire optimal flavor and massive clouds. 6 colors with 2ml D22/ 4.5ml D25 for your selection. 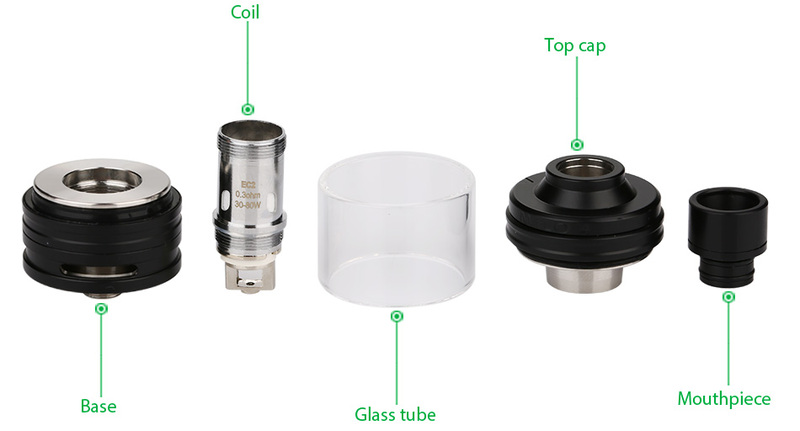 You can choose iKuun i200 mod and Melo 4 tank/EC2 Coils. Switch on/off: Press the fire button 5 times in quick succession within 2 seconds, it will be powered on/off. Vaping: Hold the fire button and inhale. Release the fire button and exhale. Stealth on/off: Press the fire button and "-" simultaneously when the device is powered on to switch between Stealth ON/Off mode. Switch display mode: Keep pressing "+" and "-" button simultaneously for two seconds when the device is powered off, the screen will rotate 180 degrees. Adjustment button lock/unlock: Keep pressing mode button and up button simultaneously for 2 seconds when the device is powered on, then the up and down buttons will be locked and the screen will display "LOCKED". It can be unlocked in the same way. Switch the modes: Press the fire button 3 times in quick succession to enter the mode option menu. Press "+" button to switch between VW/TEMP/TCR modes. Press fire button to confirm. 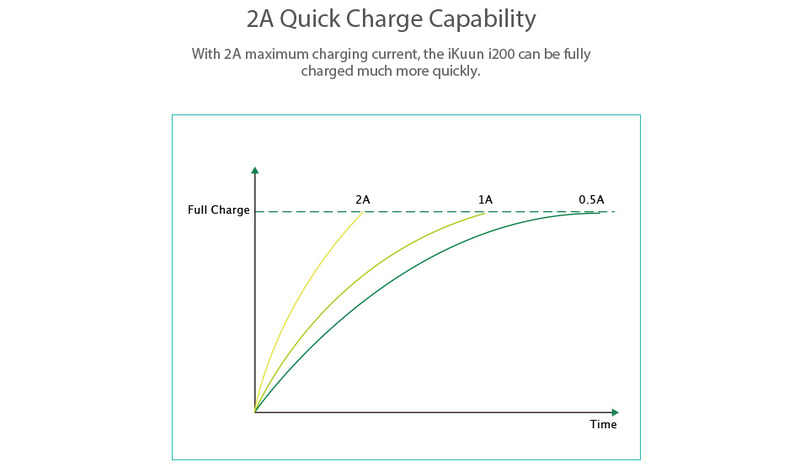 Charging: Simply charge it by connecting it with a computer or a wall adapter via USB cable. Once plugged in, the charging indicator will be on. 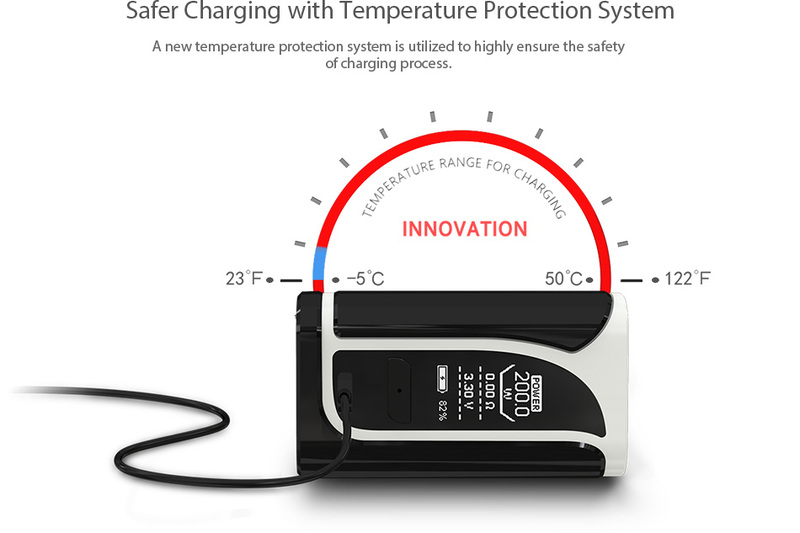 When it's fully charged, the LED charging light will go out.